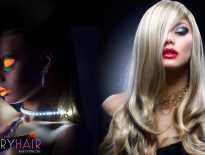 Home Hair Extensions How to Sew Clips on Wefts or Clip-in Hair Extensions? Having a broken clip can be very frustrating and it prevents you from wearing your extensions. If one or more clips are broken or damaged, the hair won’t be secured on your head properly and there’s a big chance it will fall out. So knowing how to sew clips is very important. You can buy either individual clips or sets are they are cheap. So if you want to change the placement of the clips on your weft or make a four clip weft out of a three clip weft for example, sewing the clips is the way to do it. To learn how to sew clips on hair extensions, please check this simple guide as the process is very easy and takes very little time. How to Sew Clips on Wefts? Before you start, if you’re replacing a broken clip, you need to remove it first by carefully cutting threads off from the weft. The first thing that you want to do is to take a thread that is long (approximately twice as long from your elbow to your wrist) and cut it off. Now is the time to get the thread through the needle. This can be a little bit tricky and you may have to try a couple of times before it goes in. Take both ends together and make a tight knot. Put the clip on the weft, wherever you want to place (or replace) it. Get the needle through the first hole. Double thread the first hole and make a knot to secure the clip on the weft. If you have a thread sticking out, you can cut it off. This way you won’t be able to see it and won’t have threads sticking out of your extensions. To make it even more secure, stick the needle through and wrap the thread around the needle three times and then pull it through. You can repeat that process one more time on the same hole. Repeat step number two on all the other holes. When you get to the last hole, make a couple of additional knots. Cut the extra thread off and you’re done! How to Make Custom Clip in Extensions? If you want to make your own clip ins, you can do this by buying a very wide weft of hair, you can buy those cheap, and clips (you will need at least 20 clips). You need to measure where you want to put your clip wefts. Since you’re making your own custom-made extensions, you can choose where you want to place the hair and trim wefts according to that. Now measure where you want your four clip weft to be, which is probably somewhere around where your temples are, on the widest part of your head. Cut it from your big weft. You also need to measure where you want your two clip wefts to be, which usually go on both sides of your head, near the top. Now cut two wefts with those measurements. When you’re done cutting, you should have 2 two-clip wefts, 2 three clip weft, and 1 four clip wefts. 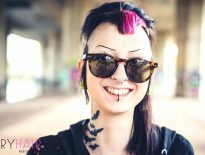 That is what you usually get in a set of clip in extensions. Now it’s time to sew the clips on the weft. The process is pretty straightforward. For the two clip wefts, you obviously need to sew in two clips on both sides. For three clip wefts, sew 3 clips, two at the ends and one in the middle, and 4 clips on the four clip weft. Make sure to apply them carefully, following the sewing guide. That’s it! 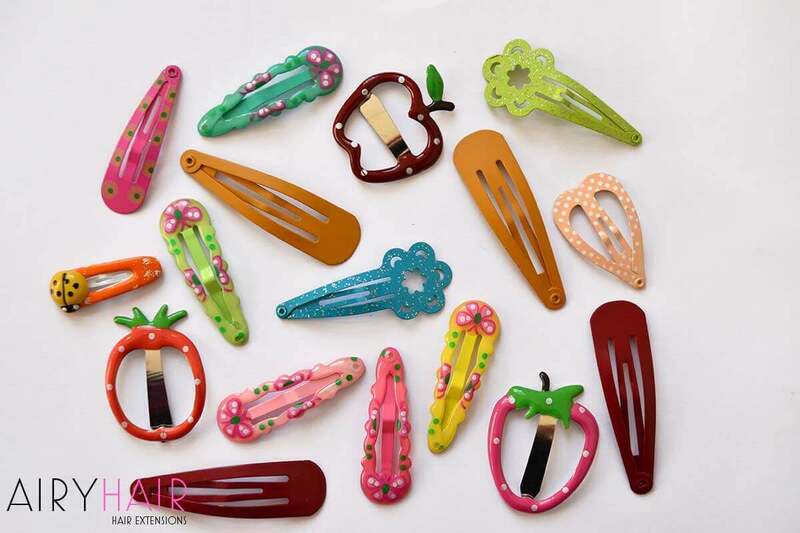 You have just made your own custom clip in extensions! You can play around with the number of wefts and the number of clips. It all depends on what fits you best and now that you know how to do it yourself, you can experiment. Applying them is also very simple and it can be done is less than 10 minutes. That’s the magic of clip in extensions. You have just learned not only how to sew clips on wefts, but also how to make your custom clip in extensions! Those are great skills to know. 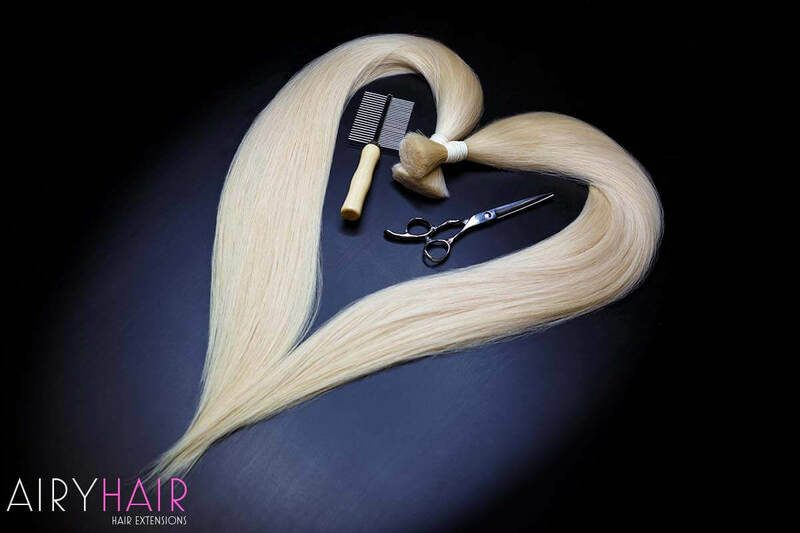 If this process seems like too much work for you and you’re not very good with needles and scissors, you can simply buy our clip in extensions that are ready to wear. Hair Extensions	How Do Tape In Extensions Work?